If you happen to be an OS X user, and happen to love Google’s Chrome Web browser, then the latest Chrome 39 release will definitely be of interest to you. Version 39, or more specifically, version 39.0.217.65, has eventually gone live and represents the first stable build of the world’s most popular Web browser that has been built with 64-bit optimization in mind for Apple’s Mac computers. The official and stable launch of version 39, which was previously available in beta, also supports Windows and Linux based computers, with the 64-bit version being the only variant that Mac users can get their hands on going forward. Sad news for those running an older Intel-based Mac. 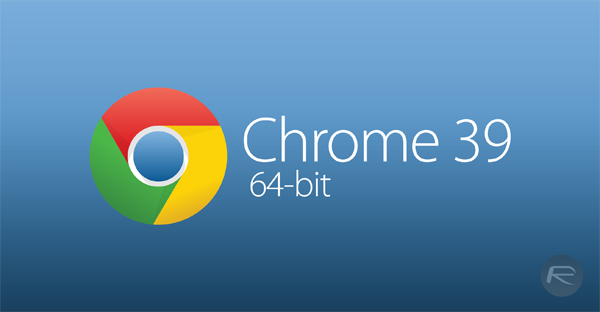 In addition to being offered as a stable 64-bit build for Macs, Chrome 39 brings with it a number of obligatory fixed and improvements, including a whole host of new APIs for the creation of Chrome apps and extensions. As with any major release, the Chrome codebase has also benefitted from a number of tweaks and changes to offer noticeably improved speed enhancements and loading times. The Chrome team has also made a point of letting the world know that more than forty crucial security improvements and bug fixes have been made with the latest release, approximately 25% of which were highlighted by external research teams. Google has also paid out $41,500 in bounties to those locating bugs. If you’re running a 64-bit Mac, and are ready to take the plunge and upgrade to the latest version from the Chrome "stable" branch then the most recent build can be acquired from Google’s download page here. For those who are still running an older Intel-based machine, you’ll have to take the back seat with this one, but at least there’s Chrome 38 to handle of those Web browsing needs. Google Chrome is absolutely free to download, and is available on a wide variety of platforms, including Android and iOS. But it’s the desktop version which is the star of the show here, and with the recent bump to version 39, we don’t see any reason why you should ignore Chrome, or at least give it a chance to fulfill your Web browsing needs. Go on, we know you want to. You just can’t deny free! Just tried this out. It’s not fixed.